Béziers is a town in Languedoc in southern France. It is a sub-prefecture of the Hérault department. Béziers hosts the famous Feria de Béziers, centred around bullfighting, every August. A million visitors are attracted to the five-day event. 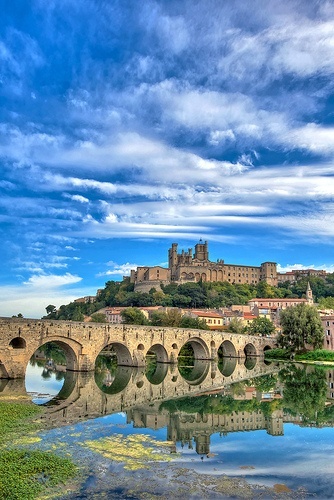 Béziers is a member of the Most Ancient European Towns Network. The town is located on a small bluff above the river Orb, about 10 km (6.2 mi) from the Mediterranean. At Béziers the Canal du Midi spans the river Orb as an aqueduct called the Pont-canal de l'Orb. claimed to be the first of its kind.